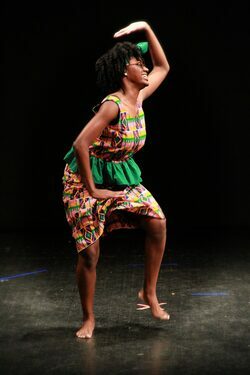 USAAMA, meaning “precious” in Swahili, is a pre-professional performing youth company founded in 1995 that strives to give today's youth a sense of pride, culture, and knowledge through dance. The company has been designed to help introduce inspiring young dancers into the world of dance, performing and assisting in developing self-esteem, self-respect and respect for the arts.The company is dedicated to the preservation of African dance and song, as well as encouraging respect for elders, and the community. The children are exposed to professional artists and performing venues so they can learn the discipline required of all artists. The company members range in age from 8-18 and must maintain a “B” average. Company members receive training in various dance forms with a focus in West African and Modern dance. All company members are involved in numerous school clubs and participate in team sports. 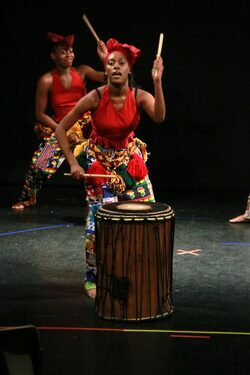 Usaama has performed at numerous locations throughout the Essex County Area including sold-out performances at the New Jersey Performing Arts Center, Montclair State University, Montclair’s African-American Heritage Parade, The Grand Chalet, Capezio, Fairleigh Dickerson University, Essex County College, Pines manor, Riker Hill Art Park, St. Mark's United Methodist Church, Ocean Avenue Baptist Church, Grace Church Van Vorst, Babyland Day Care, The Holiday Inn, La Neve's, The Mountainside Inn, Quest Youth Services, Teaneck Presbyterian Church, Second Baptist Church, Montclair High School, Miller Street Academy, Hazel Ave School and Watchung School. Auditions are held in September and January.